Departing from the parking garage near the Oldehove you’ll walk along small shops in the Kleine Kerkstraat into the old heart of the city. 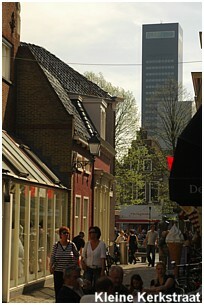 In the center of the city is the Nieuwestad. This centuries old canal is flanked by small streets where you can walk and shop. The big names dominate the shops but if you take a good look around you’ll discover some surprisingly nice things. Like in every city, the commercial signs and glass fronts of big shopping malls overrule your sight. In this location you can find many local favorites. 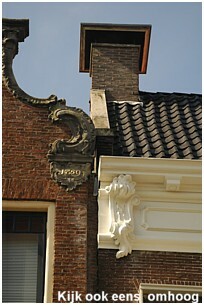 An example is the shop of Auke Rauwarda on the Westerplantage. This interconnected row of old houses has an inventory beyond belief. It looks cluttered to us laypeople but miraculously the folks who work there always seem to know where to find what you need.